Home plans for builders and individuals are the specialty of Building Science Associates, Inc. We provide stock home plans and custom design services specializing in period architecture such as Victorian, Italianate, Bungalows, Greek Revival, and others. Robert A. Martignoni, the owner and principal designer of BSA, is a national award winning designer who has been a professional member of the American Institute of Building Design (AIBD) since 1991 and an associate member of the National Association of Home Builders (NAHB) since 1989. 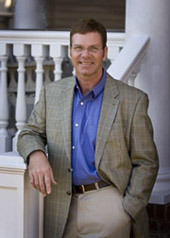 He is an Auburn University graduate in Building Science and started BSA in 1988 after working hands-on in the residential construction industry for several year He is a professional member of The Institute of Classical Architecture and Classical America and the Congress for New Urbanism, and has a CGP Certified Green Professional designation from NAAB. BSA specializes in custom designs for individuals and builders/developers in classical styles such as Victorian, Italianate, Greek Revival, and Bungalow house plans for “neo-traditional” or “new urbanist” communities. As part of the designer network for Southern Living, Garlinghouse, Norfolk Redevelopment and Housing Authority and others, our plans are purchased and built in all areas of the United States. By combining his experience and education in construction with his design talent, Robert Martignoni has a reputation for producing quality designs with clear, concise plans to make construction easy to follow for field personnel. Many builders, subcontractors and building officials have told us they prefer working with our plans over any other they have worked with.